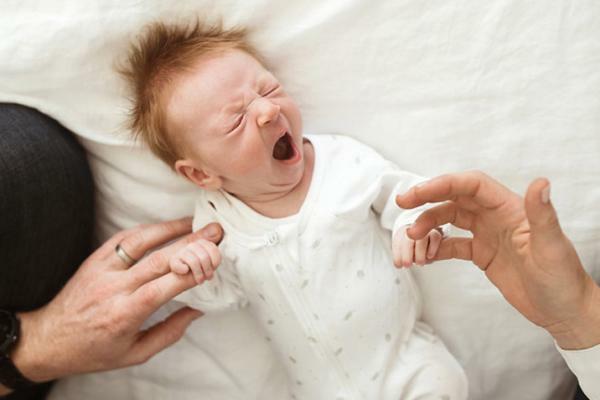 The reflexes of newborn babies often startle them easily and tend to wake them during sleep. Many parents have found that wrapping babies until they’re three to four months old (the time when these reflexes begin to disappear) helps reduce strong startle reactions, and improves sleep. When choosing a wrap, pick a light, breathable cotton or muslin material, measuring about 1.5 x 1 metre wide. 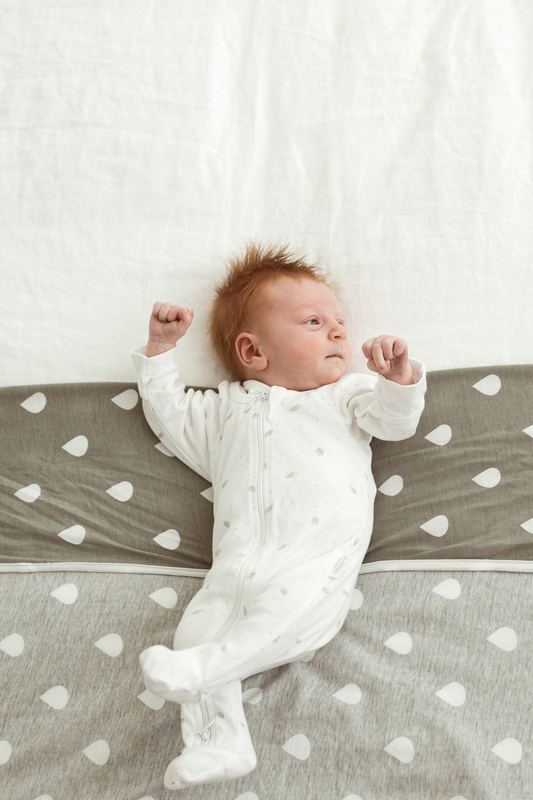 Your baby will want room to move their arms, so stretchy material allows freedom of movement while providing security. Just check the wrap isn’t too loose, as this runs the risk of covering your baby’s head and face. If you feel uncomfortable wrapping your baby, that’s OK. It can just be a technique to assist in calming your baby for sleep and will often keep your baby sleeping longer. Every parent is different. Safety Alert: Wrapping your baby’s lower body too firmly can interfere with normal growth and hip development. Research indicates wrapping increases the risk for developmental dysplasia of the hip (DDH). For information on how to wrap, follow the directions below, watch the video, or read our Wrapping Your Baby brochure. When wrapping your baby, follow these simple tips. Karitane Tip: The safest place for your baby to sleep is on their back, in their own sleep environment. For more information on safe sleeping, refer to Safe Sleeping Environments. The temperature will affect how you dress your baby before wrapping. On warm days, a nappy and a singlet is all your baby needs, while on cooler days a lightweight romper and blanket are enough. Ensure your baby’s feet are at the end of the mattress, and that the blanket is tucked firmly into the end so it cannot come loose and mask your baby’s head during sleep. For safety reasons, you should stop wrapping your baby when they begin to roll onto their tummy. Generally, the best way to stop wrapping is to do so gradually. This can be initiated by leaving one arm out of the swaddle. From there, progress to leaving either both arms or legs out of the wrap. You can also incrementally loosen the wrap a little at a time, to build up to the point where you don’t need to wrap. 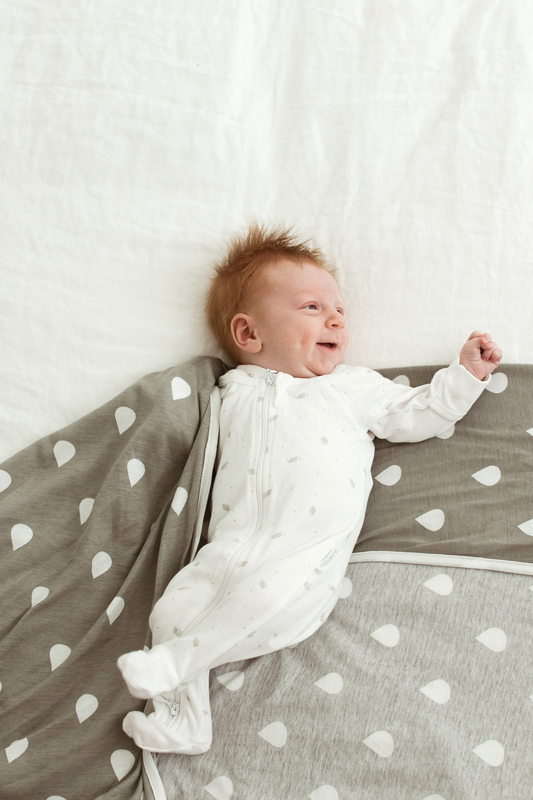 This gradual transition makes it easier for your baby to adjust to sleeping unwrapped. The process may last a week or so, and your baby’s sleeping pattern may be affected. Don’t worry – this is common. Once your baby is used to sleeping unwrapped, things should return to normal. When using a sleeping bag, ensure the sleeping bag is the correct size for your baby. Choose one with a fitted neck, armholes or sleeves with no hood, and check your baby can’t slip inside the bag and become completely covered. Dress your baby the same way you would if using a wrap. 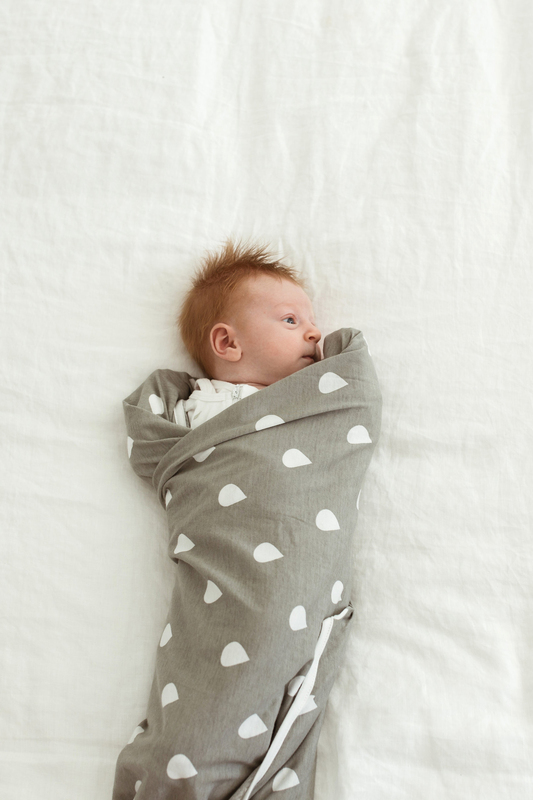 Never use a wrap and sleeping bag together, as your baby may overheat. 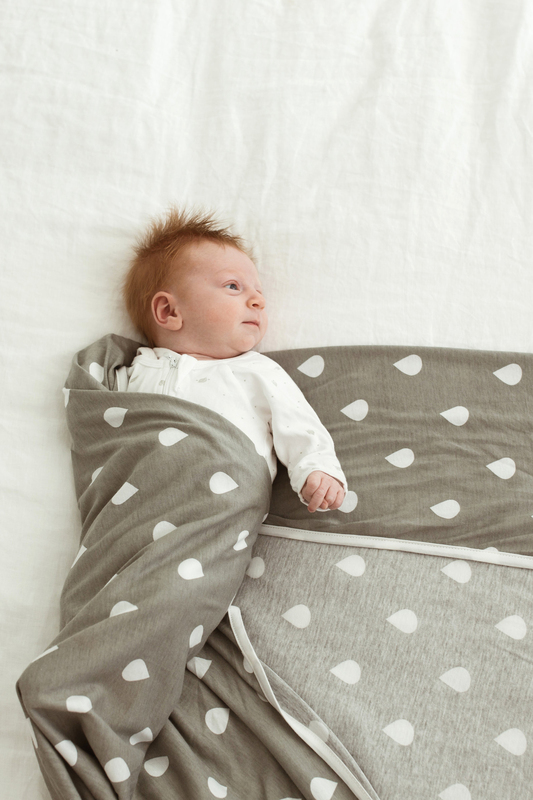 In cooler months, you can add a sheet or lightweight blanket, tucked in firmly over your baby, as you would if they were wrapped. 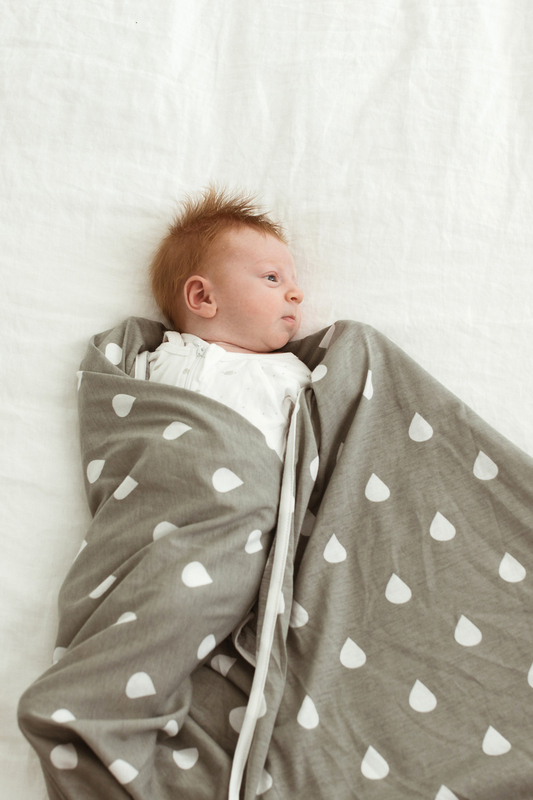 Karitane and L’il Fraser are proud to offer high quality 100% cotton wraps for your baby. L’il Fraser support Karitane by donating a portion of the proceeds of the sale of these products. These baby wraps have been tested and approved by Karitane to be used with the wrapping style recommended on these pages. During checkout , remember to enter the code KARILFC when purchasing a baby wrap for the proceeds to go back to Karitane supporting families. View the L’il Fraser collection here. There are many ways you can support your child going to sleep, finding the strategy that best suits you and your family can be challenging. At Karitane we use strategies which respond to your baby's cues. Karitane Parenting Centres empower families by providing parenting education, support and guidance in a relaxed environment. They provide support to families with children from newborn to 5 years.